You heard about the Momiform Makeover Series, right? This blog tour is full of classy ladies reinventing their style, and I'm so happy to be a part of it! When you become a mom, you become the ultimate multi-tasker. "Style" starts moving rapidly down the list of priorities in the face of things like doctor's appointments and preschool snacks. I can't speak for everyone, but the more I've got going on, the more scattered my brain feels. 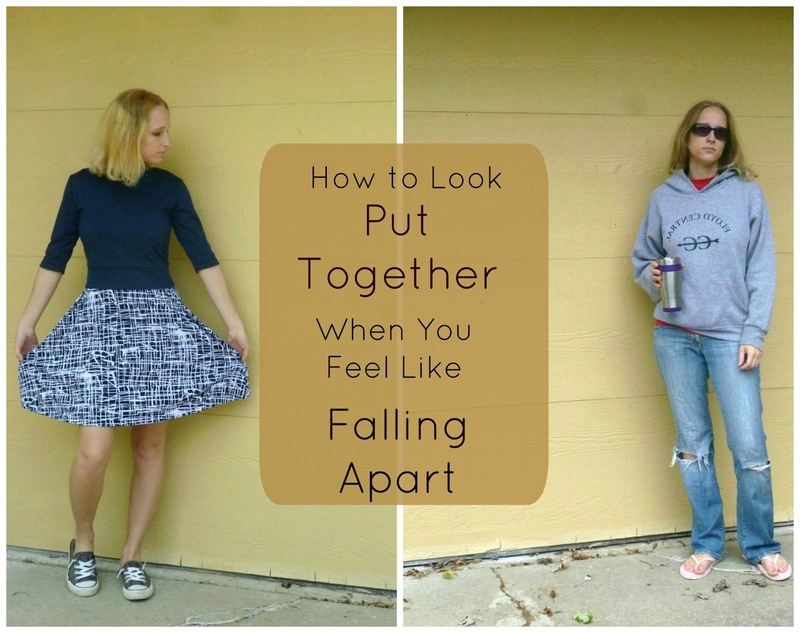 Over the years I've come up with a few quick, easy ways to look like I've got my act together...even when I'm falling apart! This is a sewing blog, so let's start with clothes. Resist the urge to pull a wrinkly sweatshirt out of the laundry basket. Resist! The smell test is not good enough. 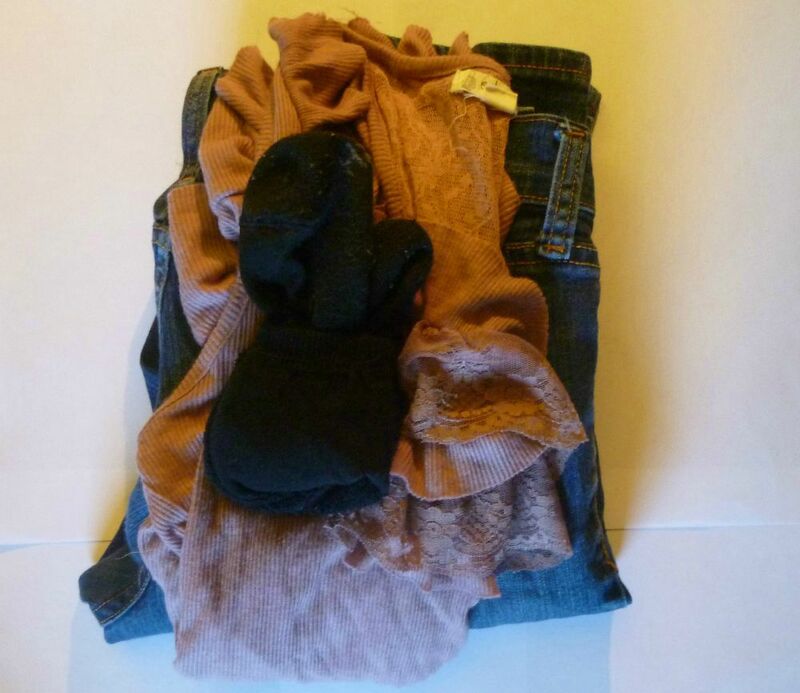 If I know I have to be out the door early, I lay out my clothes the night before. My 3 year old helps me, and on a "school night" she looks forward to selecting her outfit, my outfit, and what baby H is going to wear. We even lay out our socks and underwear. All three outfits are together, so we can get dressed at the same time without leaving the room to search for something. Ten thoughtful minutes are way better than five frantic ones! A stand-out piece of jewelry (not the whole box!). Mine is a pair of pearl earrings my husband got me for my *cough* 30th *cough* birthday. 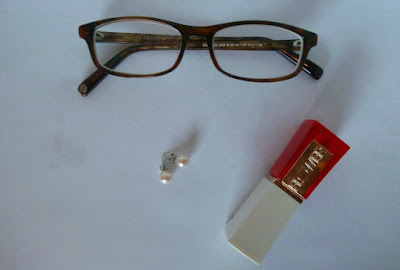 Glasses (if you normally wear contacts) or contacts (if you normally wear glasses). Lipstick in a bold color and minimal (or no) other makeup. These are all things that people will notice instead of your messy hair or inside out shirt. They're easy to do and some can even be kept in your car for emergency fashion disasters. Spit up on your shirt? Cover it with a scarf. This tip has been a lifesaver for me. I don't like leaving the house without makeup on, it definitely makes me feel less confident. But sometimes I can't get even ten minutes of peace to "put on my face" as my mom would say. Rather than skip makeup altogether, I developed a "quick" routine and a "slow" routine. The quick routine gives me just enough to feel human. 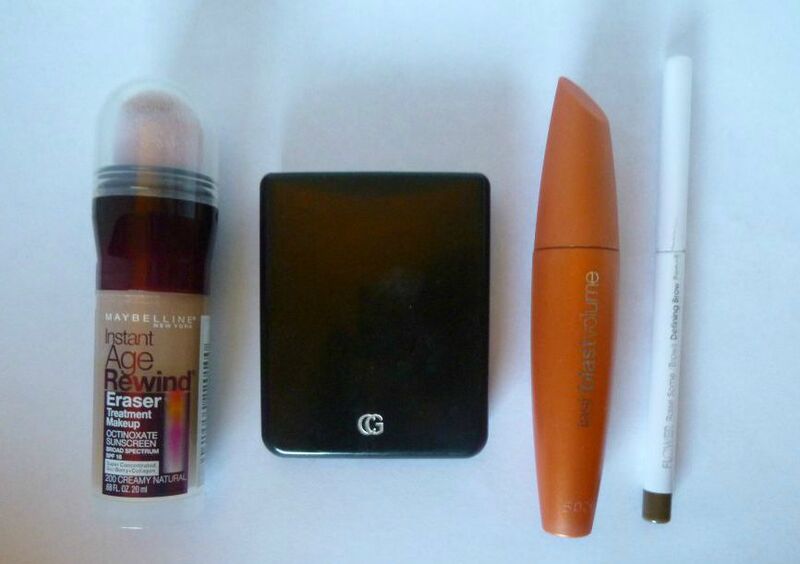 For me, that's foundation or BB cream, blush, mascara and an eyebrow pencil. The slow routine is more involved (obvs) and is the same as the quick routine, except I add eyeliner, eyeshadow, and concealer if I need it. If you're not sure how much time you'll have, start with your quick routine. You'll at least cover the bare minimum. When you're shopping for makeup, look for shortcuts, like this foundation and applicator in one, or this eye shadow stick that doesn't need a brush (affiliate links). I've also been known to throw my makeup bag in my purse and apply it in the car when we get wherever we're going (no, not while I'm driving!). I find that having the kids strapped in their car seats makes application much less stressful, because I'm not stuck in the bathroom wondering if someone has climbed on top of the kitchen table and is swinging from the ceiling fan (OMG I have to move my kitchen table...). Whether you're a mom or not, we're all short on time and motivation. Do you have any quick tips to look put-together and polished? So, I do think a little goes a long way! I definitely think when you're busy wrangling kids, it helps to have a 'uniform'. Be it easy knit pieces that are primarily wrinkle free or jeans/tank/cardigan...some easy style that you know works. I finally noticed my skin and face changing at 35. Boooo! So even though I've spent the vast majority of my life makeup free; I've developed a quick routine now. Mascara, liner on my upper lid (with verrrrrry slight wing) and gloss. That makes me not feel like a bum ;) If I have time I'll do a little BB cream and brow powder. I've noticed a lot more "age defying" items sneaking into my routine now that I'm 30...I might be paranoid but I guess it doesn't hurt to start now! !